Home | Design engineering, fabrication, procurement and construction involving domestic and overseas plants - MKK Asia Co., Ltd.
Back to Fact-Link's Top Page > Production Equipment / Engineering > MKK Asia Co., Ltd.
Design/EPC for chemical, petrochemical, pharmaceutical, food processing plant. 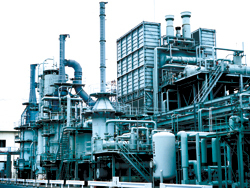 Maintenance of plant, machinery, equipment. MKK Asia offers high-quality products, machinery and equipment for the plant utilizing sound and proven technologies firmly rooted in the principles of manufacturing excellence, as well as incorporating uncompromising quality control and assurance systems. MKK Asia is ready to propose high quality facilities and plants at low cost within the required delivery time by a reliable quality control and well organized construction management which Japanese-owned companies are renowned. Assisted by Japanese engineers, MKK Asia is able to supply well-proven design services at very competitive prices thanks to its staff of talented Thai engineers. Leveraging its extensive network of vendors both at home and abroad, MKK Asia is able to supply customers with high quality materials and reliable equipment at low cost. Leveraging a proud track record in plant construction established over almost two decades in Thailand by Mitsubishi Kakoki Kaisha, Ltd. (the parent company of MKK Asia), MKK Asia guarantees high levels of safety, quality assurance and delivery management. 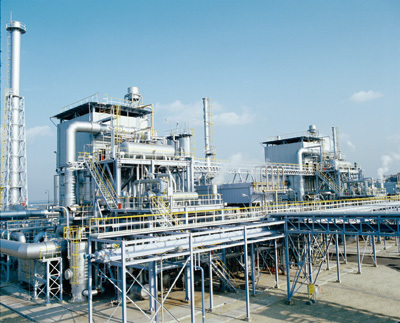 On the basis of information and data supplied by the customer, MKK Asia is able to design and construct manufacturing facilities for petrochemical and chemical products as well as super-purity pharmaceuticals to meet his requirements. MKK Asia is devoted to leveraging its parent company's track record, experience and expertise in unit machinery and equipment manufacturing, operation and processes to realize easy- to- operate plant. 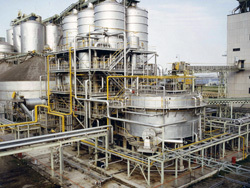 MKK has a long history in the field of food production and processing facilities both in Japan and in South East Asia. The company has a well-established track record in the construction of cooking oil and artificial sweetener production plant in Thailand. As a subsidiary company of MKK, MKK Asia is committed to supplying food production and processing facilities that meet required levels of quality. 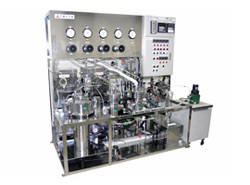 MKK Asia can also offer pharmaceutical intermediates production plant utilizing its extensive lineup of supercritical fluid extraction facilities and low-temperature synthesizers, which are effective for pharmaceuticals and fine chemicals production.